to another surface or object that was creating noise. These sound dampening materials help to control the source from vibrating, resonating and transmitting noise. Typically metal is the most affected material that is susceptible to this noise problem thereafter glass, plywood and so on a list of the material vibration coefficient can be found below. Some of the most common scenarios where noise resonance affects are: air conditioning ducting systems, vehicle external surfaces, aircraft planes, marine vessels' hulls and engine rooms, building surfaces, concrete walls are just some of the applications that sound dampening can resolve. When choosing a method of application and suitable product for use from the many available online you really need to research thoroughly to ensure that what you buying really can be affective. Sound Dampening materials are not a simple compound as many companies and individuals would have you believe. 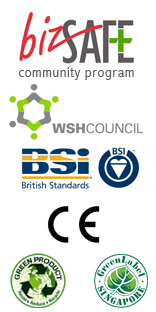 Green silicone or other colored silicon sealants are common on the market but the results are questionable as the material data for the performance of the products are never displayed in their own right and we know from our own testing that silicone is not an effective solution at all. Mass loaded vinyl and neoprene rubber is also pushed as an affective sound damping material however all though the density is high on these materials the hardness value exceeds the density and thus making them conductive to some extent in such reducing their effectiveness. 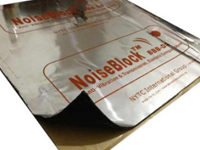 NoiseBlock BBB-DS and NoiseBlock BY-DS are true authentic genuine sound dampening and anti-vibration materials they offer excellent noise reduction and vibration quenching results and are excellent value for money. 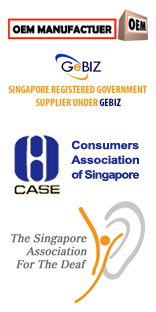 NoiseBlock BBB-DS is currently being used by Mediacorp for the Metropolis Singapore project in Singapore it has also been used by Singapore Airlines. Glass is often wrongly used and specified in sound insulation projects and is well known for its resonance properties and ability to generate noise rather than to stop. It is the flaw of many window contractors and companies that any glass will do when it comes to creating a soundproofing window. This idea and belief is far from correct. When using glass to create a soundproofing window you must use the right glass firstly and also laminate our NoiseBlock P 0.2 Clear Membrane to the glass to prevent resonance which is almost to accrue without. Timber is used for making of doors, furniture and various applications including flooring and platforms for stages. The most common material used and the worst for vibration transmission and resonance is plywood. Plywood is extremely conductive and causes no end of problems in flanking noise. It must either be have a treatment of sound dampening materials bonded to it or the material to be exchanged for something more practical such as High Density Fiber Board commonly known as HDF Board. NoiseBlock BBB-DS is the orginal authentic true sound dampening & anti-vibration material that is unbeatable in it's performance. The product is able to convert noise into kenetic energy and thus quench vibration. It has been described by many experts as having also the performance of a sheet of lead. 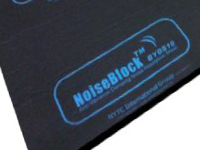 NoiseBlock BY-DS is the simular to the BBB-DS product but comes with a super high density foam to act as an added sound silencer. 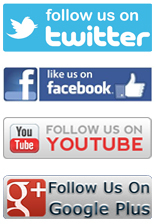 This product has been highly rated on the internet and by many users.